Underwood Farms is selling broccolini, pea shoots, and mustard greens by the bag right now – we snatched up five bags of these from the Sunday Ojai Farmer’s Market and couldn’t wait to use them in a recipe! For those who haven’t yet indulged, broccolini is the smaller, sweeter, more delicate cousin to broccoli. 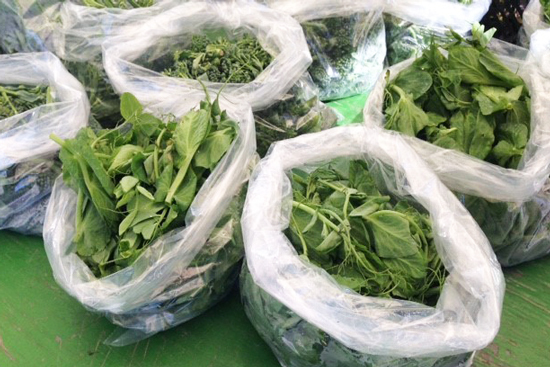 Pick up a locally grown bag of mixed greens and green vegetables at a local Ventura County farmers market while you can. They’re so much more flavorful when you buy them fresh from the farmer! Just another reason to Treasure Our Farms. Preheat oven to 425 degrees F. Line a baking sheet with Reynolds wrap. 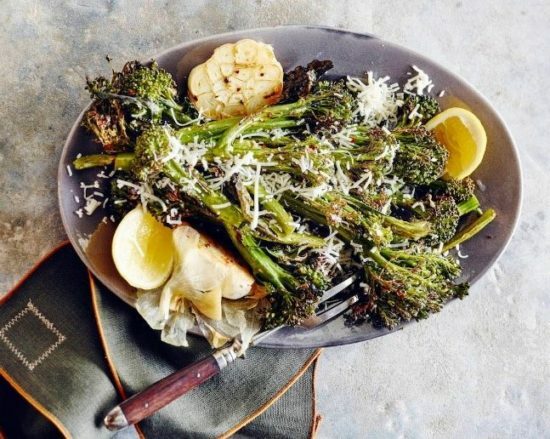 Spread the broccolini on the baking sheet and drizzle with olive oil. Using tongs, gently toss the florets in the oil to combine. Cut the head of garlic in half, and place the exposed garlic in some of the drizzled olive oil. Turn the garlic exposed side up on the baking sheet and sprinkle everything with red pepper flakes. Transfer the baking sheet into the oven and roast for 20-25 minutes until the broccolini is just slightly crispy. Remove the baking sheet from oven and squeeze the fresh lemon juice on top of the broccolini. Adjust seasoning and add more salt, pepper and grated Asiago cheese and serve. Transfer the broccolini to a serving platter with the halved garlic heads. Remove the Reynolds Wrap from the baking sheet and discard for easy clean up. Serve immediately. 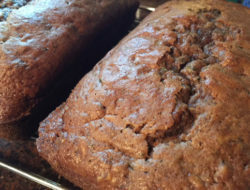 Do you have a favorite recipe using foods from local farmers and farmers markets? 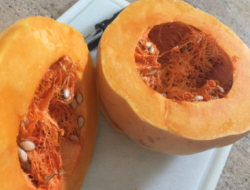 Share your recipes with us, here!